HomeKit, a connected home platform from Apple, now has its first wave of supporting products available for purchase. Lighting, window shades, heating and air conditioning, and power outlets are among the functions that can be controlled via a Home app. Lutron has a Caséta Wireless Lighting Smart Bridge that links up with lights and (Lutron) window blinds. 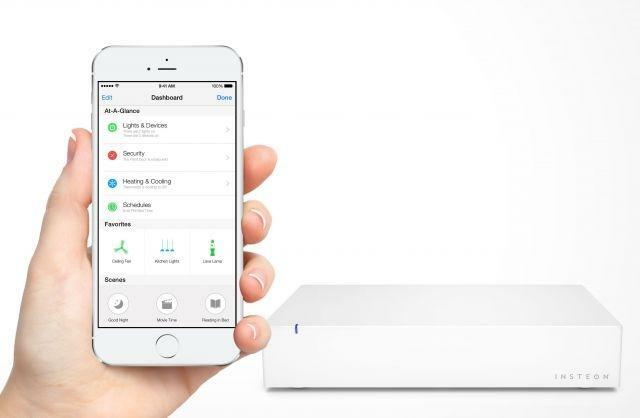 Insteon provides a Hub, which can connect with and control a range of other devices. Elegato manufactures the Eve. It monitors energy consumption, door and window use, temperature, humidity and overall air quality. Alternatively, there's the Ecobee3, a wifi thermostat that comes with a selection of distributable sensors, taking temperature readings from a number of rooms for what is supposed to be a more efficient solution. And an iHome iSP5 SmartPlug acts as intermediary between any appliance and its corresponding wall socket, turning the unit's power on and off as required. The devices were revealed ahead of WWDC 2015 -- Apple's Worldwide Developers Conference -- which runs June 8 to June 12 in San Francisco.